The last two years have seen a significant increase in tenants’ requirements as the casual dining market evolves. Retailers have expanded from 50 square metres to tenancies between 200 square metres and 1,000 square metres. 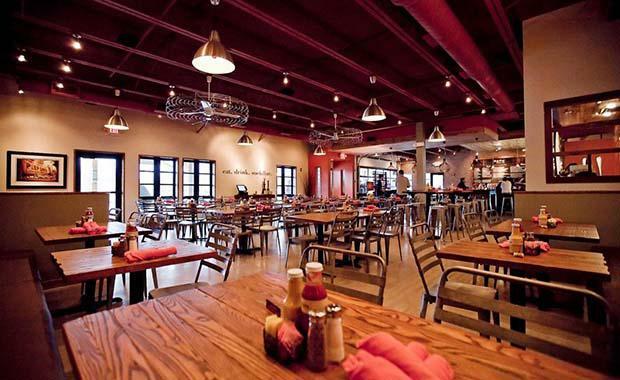 Colliers International has said that this trend of upsizing is particularly noticeable in suburban areas, which are popular for casual dining precincts as they give patrons a more complete dining experience. “The casual dining precincts tend to be located within major regional shopping centres create a dining experience that retains the customers within the precinct for a lot longer than a takeaway option would,” Ms Thrift said. “The popularity of casual dining is driving retailers to increase their requirements, upwards of 200 square metres. The lift in consumer confidence has spurred on an increase in discretionary spending and combined with population growth, these factors are driving the improvement in retail growth, especially in the cafes, restaurants and casual dining sector. For interstate retailers, Queensland is starting to enter onto their radar, and is being included in their expansion plans as confidence begins to rise. Ms Thrift said one example of growth in tenants’ requirements can be seen at the newly refurbished Westfield Garden City. Ms Thrift said the demand for larger casual dining floor space is not exclusive to shopping centres. “Nielson Properties own an asset at 1016 Old Cleveland Road in Carindale which is located directly opposite the newly refurbished casual dining precinct in Westfield Carindale. Nielson Properies are offering a casual dining retailer the opportunity to capitalise on the precinct’s heavy traffic and a 520 square metre tenancy featuring 180 square metres of al fresco area. “The refurbishment plans include a brand new building façade and reconfiguration of the ground floor to suit the new tenant. The space would be ideal for a large format family restaurant and bar offering, one that will be complementary to the other dining operators in the precinct.” said Ms Thrift. Colliers International research shows that expenditure at cafes and restaurants has been the strongest component of retail trade over the past year, with annual growth running at a considerable 10.3 percent. This indicates that consumer caution has receded. Research has also shown that population growth is a factor supporting both retail spending and demand for retail floor space.